Eleven Albanian mobsters on their 'perp walk' after a heroin/fentanyl ring bust in January. When the topic is organized crime, Albania seldom springs to mind. But that country’s mafia is notorious for the complexity and diversity of its criminal enterprises. It's reach spreads around the globe. Activities include trafficking in drugs, weapons, and humans. Interpol reports that the Kosovo chapter runs heroin markets in Switzerland, Austria, Germany, Belgium, Hungary, the Czech Republic, Sweden and Norway. 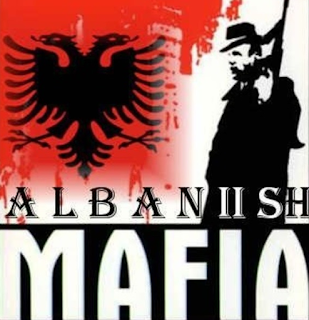 Currently, more than 15 mafia families operate in Albania alone. When communism failed in Albania in 1990 the nation collapsed into economic dysfunction and the criminal element stepped in to take advantage of the chaos. The country is a mafia state. 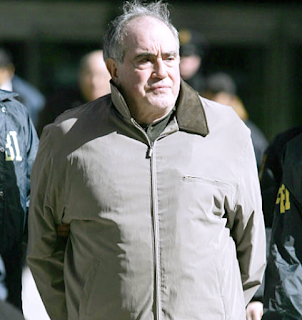 In the 1990s, led by Alex Rudaj, the Albanians established ties with crime figures of the Gambino crime family. Soon, they were battling the Lucchese and Gambino families for territory in Queens, the Bronx and Westchester County. In 2001, seven Albanian mobsters stormed a Gambino hangout in Astoria. Gambino leader Arnold Squitieri demanded a “sit down.” When Squitieri issued an ultimatum, crew members on both sides drew their guns, but the Albanians ended the discussion by threatening to blow up everyone. By 2006, all the main players involved in the “sit down” were in prison. The Albanians weren't down for long. Their fearsome reputation for violence as well as sophisticated smuggling networks and unlimited access to Communist-era weapons has helped them assert control. The concept of Besa is important in Albanian culture. Besa means "keeping a promise". It is a verbal contract of trust. Albanian gangs – Mafia Shqiptare – swear an oath of "besa" - meaning they will defend each other with their lives. Each crime family will have a leader, the "krye" who chooses "kryetar" to work as underbosses.